Yoga For Beginners at JTB Wellness - Where Do I Start? Whatever your age or fitness level, yoga is one of the best ways to stay healthy, look good, and feel great. 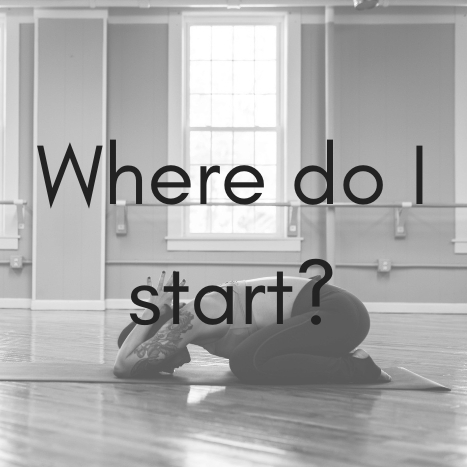 But, if you’re new to yoga, it can be hard to know where to start. Don’t let yourself be intimidated: our instructors are here to guide you. They will help you to modify the asanas- or poses- to ensure a safe yet effective experience. We offer a wide variety of classes from gentle to intense and first-time beginners are welcome in all classes! If you’re new to our studio please arrive 10 minutes early to class and remember to wear comfortable clothing that is not too baggy. Bring a mat if you have one (if not, we have plenty you can borrow) and an open mind. That’s all you need. Check out our schedule below for a suitable beginner class, or sign up for our 6 week Beginner Yoga Series. We will announce the next course here when it is scheduled, or call us to discuss which classes you might want to try out in the meantime.